17th Annual Tin Pan South Songwriters Festival produced by the Nashville Songwriters Association International (NSAI) will be held March 31st to April 4th. With 5 days and nights there will be over 100 shows! A 2 day event “Spring Training 2009, A Songwriter’s Symposium will be held at The Millennium Maxwell House Hotel on April 3rd and 4th. Ray Stevens, pianist, vocalist and songwriter will be interviewed on the first day. His more popular hit of the 70’s “Everything is Beautiful” is just one of the many songs he has either written or corroborated on. At closing, Jeffery Steel, songwriter, producer and musician will be interviewed. Steele’s biggest hits include “What hurts the most” and “Love is a Beautiful Thing”. There will be break out sessions at the symposium that allow Publishers, Producers and Songwriters to work directly with each other and share some of their talents. This years image was provided by Craig Gwin a student of Watkins College of Art and Design in Franklin, TN. 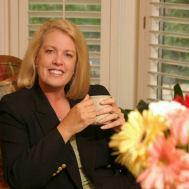 Connie Harvey is a Realtor with Prudential Woodmont Realty Group. Search for Nashville Real Estate. Contact her at HarveyC@realtracs.com or 615-661-7800 x 1300. Help! I need a recipe for a Brunch Dessert with limited ingredients! Prudential Woodmont Realty Group Finally Joins the Green Movement!